Here’s what’s happening in the world of television for Thursday, May 17. All times are Eastern. Gotham (Fox, 8 p.m.): The Batman prequel’s grinning, pasty-faced maniac isn’t the Joker (and, apparently, will never be the Joker), but that hasn’t prevented him from wreaking havoc across the show’s fourth season. 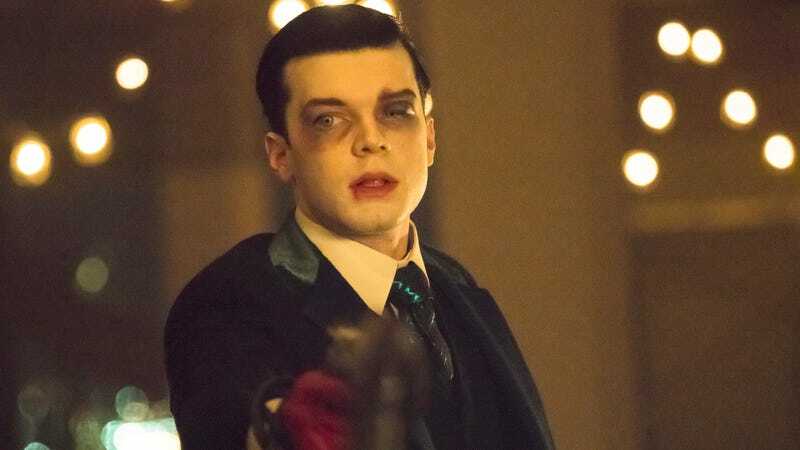 In tonight’s season finale, Jeremiah warns Gordon that there’s more chaos to come, though Warner Bros. has dictated to Gotham that this cannot be the type of chaos we’ve come to expect from the Clown Prince Of Crime, who is explicitly not Jeremiah. We can report with absolute certainty that Kyle Fowle is not the Joker, either. Grey’s Anatomy (ABC, 9 p.m.): Gotham’s Ra’s Al Ghul isn’t the only immortal hanging around on Thursdays: Grey’s Anatomy will be back for a 15th season this fall.